Get ready for one of the most anticipated ships of the year. The MSC Seaside has officially set sail and is heading for Miami, FL. MSC Seaside marks the 14th ship in MSC Cruises’ fleet. Specifically designed with more outdoor venues, this brand new class of ship is aimed at letting cruisers enjoy more of the sea and sun. If you are considering a Caribbean cruise in 2018, this ship should be on your list. We show you why in this exclusive first look at MSC Seaside. The first thing that catches your eye when you gaze upon MSC Seaside is the ship’s unique design. This brand new ship is very sleek and has a unique “open” stern. In fact, the ship was created to resemble a beachfront condo that you would expect to find right on the south coast of Florida. The unique styling is coupled with several additional features that get cruisers closer to the sea including aft-facing panoramic glass elevators and glass-floored Infinity Bridges. These bridges extend over the sides of the ship providing uninhibited views of the ocean below. 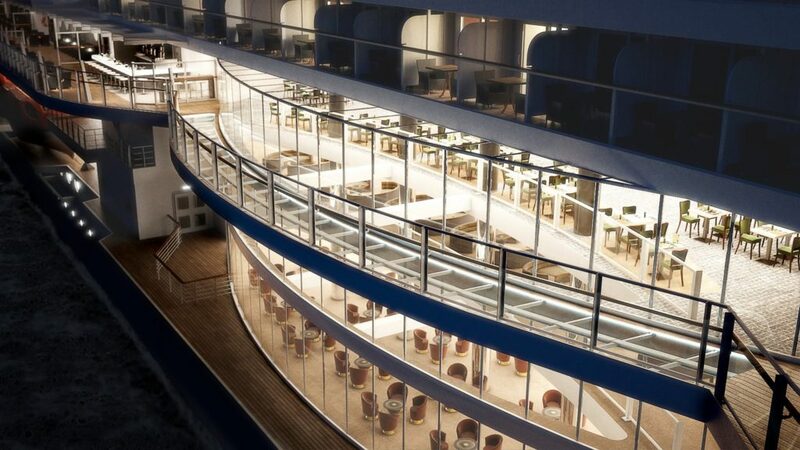 As the ship that “follows the sun”, the open air spaces extend beyond the top decks as well. The Boardwalk on Deck 8 wraps completely around the ship acting as an open air “promenade” that features several restaurants, bars, and entertainment spaces. A leisurely walk around the ship can help you take in some of the rays. If your idea of vacation is relaxing poolside, you can enjoy the South Beach Lounge area. This trendy area even has its own “private” pool which is open to all cruisers. 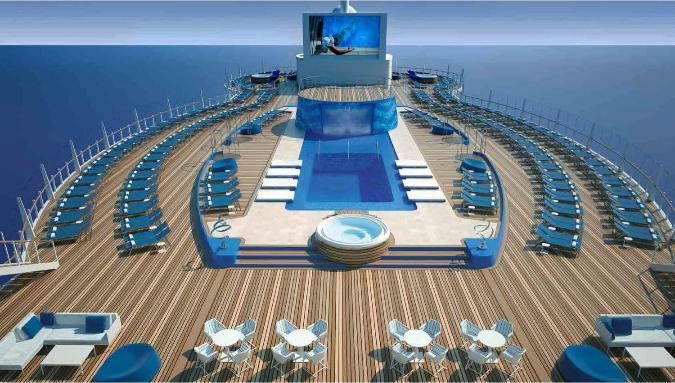 The sun decks on MSC Seaside have been reimagined to accommodate different types of cruisers. Families, couples, and those looking for some relaxation now have their own areas to enjoy during those bright sea days. Couples can find some serenity in the Top 19 Solarium, and trendsetters can chill at the Miami Beach Sundeck. There are also private spaces for those who are staying in the line’s “ship within a ship”, MSC Yacht Club. Certainly, MSC Seaside was designed to ensure children of all ages can enjoy themselves while cruising the Caribbean as well. There are six separate kids areas on the ship catering to specific age groups. Kids aged 3 to 11 can let their creativity soar in the Junior and Mini Club areas featuring Lego building blocks. “Clubs” also exist for tweens and older teenagers to hangout on their own. MSC Seaside combines innovative features found on others ships in the fleet with brand new experiences at sea. You can race side by side a family member on the Formula One simulator onboard the ship or enjoy the immersive XD cinema that literally brings movies to life. Thrill seekers will have plenty of ways to get their adrenaline fix too. Explore the “Adventure Trail”, a combination of rope courses and bridges at the very top of the ship, or zoom down the longest zip line at sea as you soar over 425 feet across the ship. 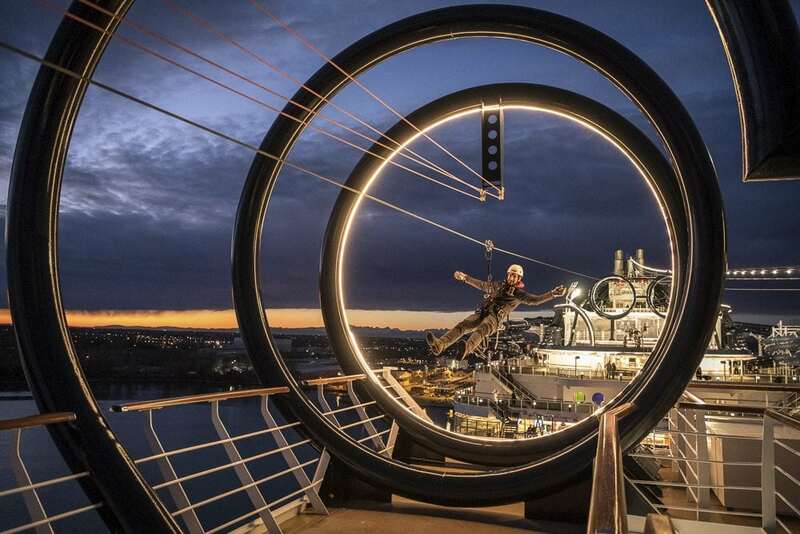 You are sure to work up an appetite with all of the onboard activities found on MSC Seaside. So, the cruise line has made sure to offer plenty of dining options with a total of 9 restaurants. As you would expect, the ship features casual restaurants that are open for breakfast, lunch and dinner. The Biscayne Bay Buffet & Pizzeria is a dedicated family buffet located right next to the pool areas. The Marketplace Buffet located on the ship’s Waterfront Boardwalk is open to all cruisers offering similar menu options. Each night, cruisers have the option of a multi-course meal in one of the two main dining rooms on the ship. Serving a rotational menu, with an Italian and Mediterranean focus, the dynamic menus are sure to satisfy even the pickiest of eaters. Cruisers can opt for a set dining time with the same waitstaff or choose Flexi Dining. 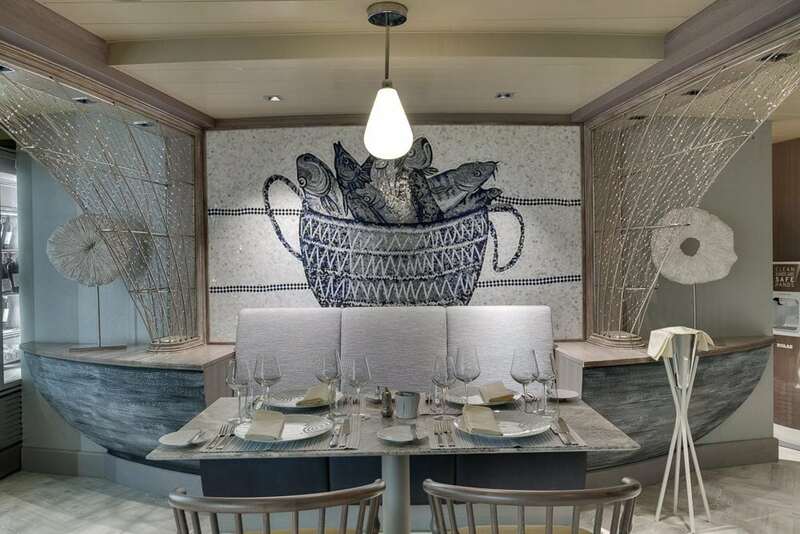 MSC Cruises has enhanced the specialty dining options onboard MSC Seaside. Seafood lovers will dive into Ocean Cay offering a wide variety of the freshest catches from the sea. Alaskan King Crab, oysters on the half shell, and yellow fin tuna are among the favorites you can find at this venue. Carnivores will love the Butcher’s Cut. This traditional style American steakhouse serves up the finest cuts of beef along with classic sides like smoked mashed potatoes and creamed spinach. One of the main dining attractions is a set of three different restaurants created in partnership with master chef Roy Yamaguchi. The Asian Marketplace, featuring a fusion of Asian and European cooking styles with entrees like Grilled Vietnamese Lamb Chop or Macadamia Nut Crusted Whitefish, is sure to be a culinary journey. Chef Yamaguchi has also brought his unique pairings to the sushi bar and Teppanyaki-style Japanese steakhouse on the ship. MSC Seaside will also feature a host of brand new shows. In fact, it will debut with seven unique shows never performed on another MSC cruise ship! 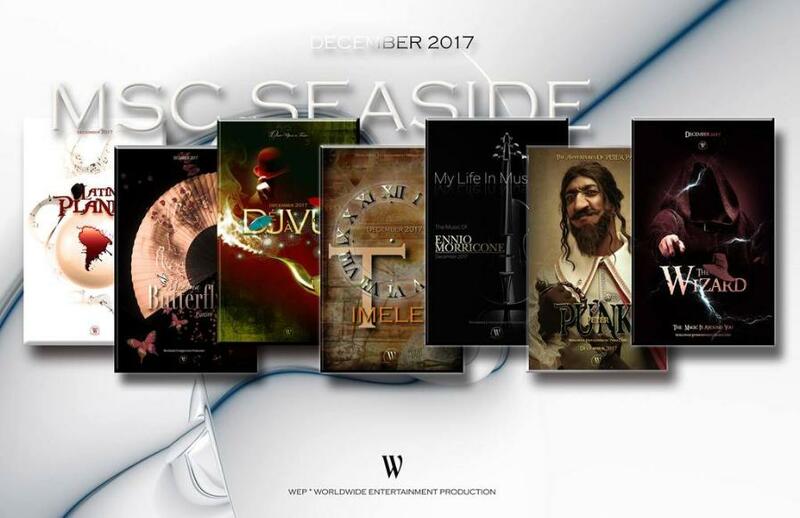 Cruisers on MSC Seaside will have a chance to catch all of these shows as they play on a rotational schedule during each cruise. Below is more information about each production. Madame Butterfly – A contemporary take on the traditional opera, this shortened version of the classic story is sure to mesmerize. The Wizard – The tale of an alchemist who has found the secret to eternal life, but it is not what he expected. DeJaVu – An ensemble show of classic musicals that is anything but ordinary. Peter Punk – A modern take on the timeless story of Peter Pan and Captain Hook. My Life in Music – This original production celebrates the music of Italian composer Ennio Morricone. Latin Planet – A celebration of Latin music, dance, and culture in a high energy stage production. Timeless – A story of two inventors who embark on an unforgettable journey after creating a time machine. The shows in the Metropolitan Theater are only part of the nightly activities. 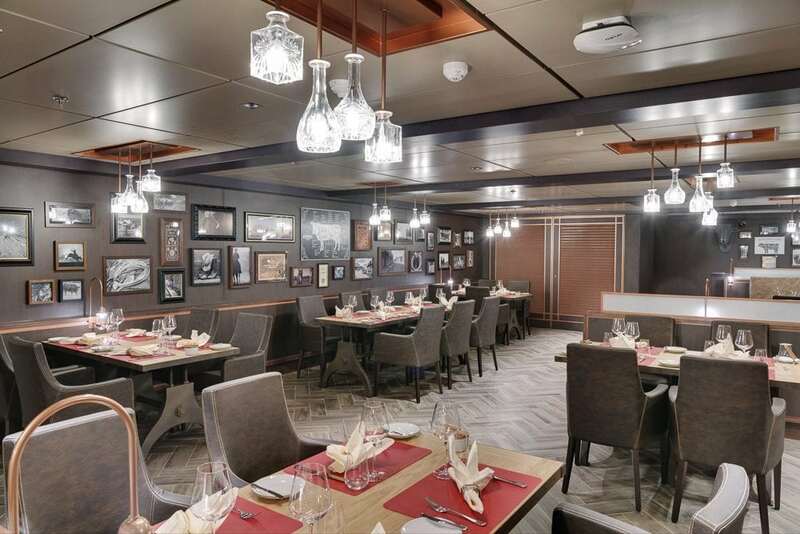 On MSC Seaside, there are plenty of bars and lounges with a variety of music and other entertainment offerings as well, like the ship’s night club, Garage Club, offering the latest dance music until the wee hours of the morning. If dancing isn’t your thing, you can laugh it up at the Seaview Lounge offering comedy shows and other cruise favorites or enjoy an evening cocktail in the jaw-dropping Atrium Bar at the center of the ship. This four deck glass-walled focal point is the perfect spot for socializing. 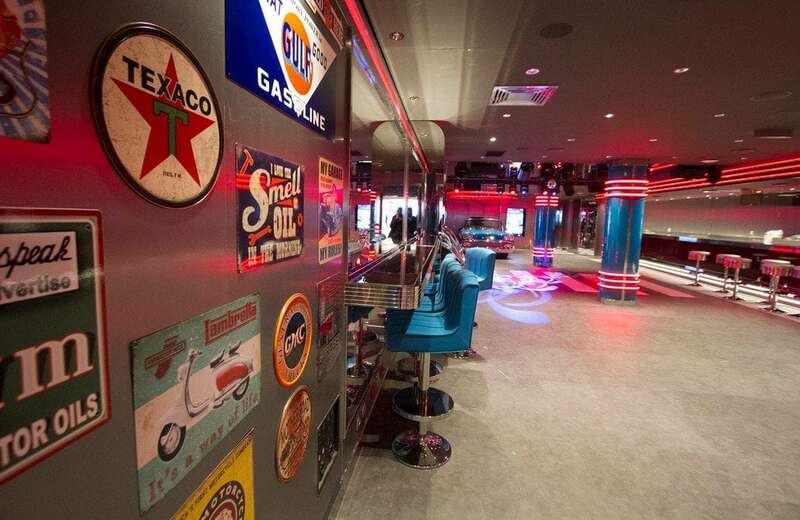 “Fans” will love the Sports Bar where the game is always on, and chic cruisers will gravitate to the Champagne Bar or the South Beach Bar for a nightly cocktail. There really is something for everyone on MSC Seaside! 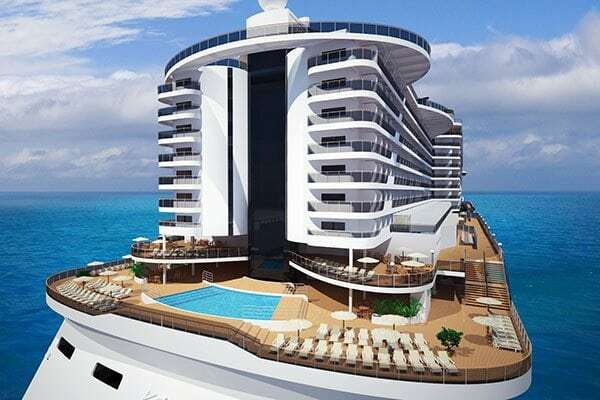 With MSC Cruises positioning MSC Seaside full time in the Caribbean, the cruise line is looking to compete with other cruise lines that frequent the region. The ship’s onboard entertainment and activities will appeal to seasoned cruisers, families, and millennials alike. 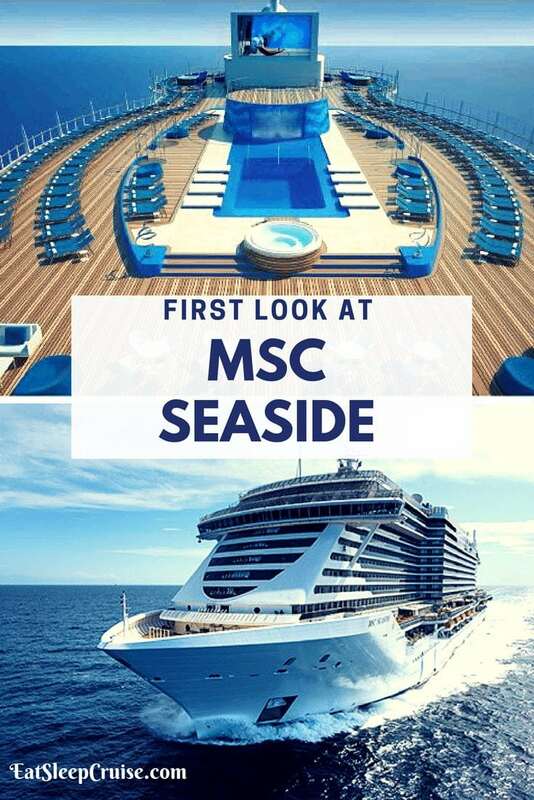 Are you ready to get more than just a sneak peek of MSC Seaside? Have you sailed with MSC Cruises? 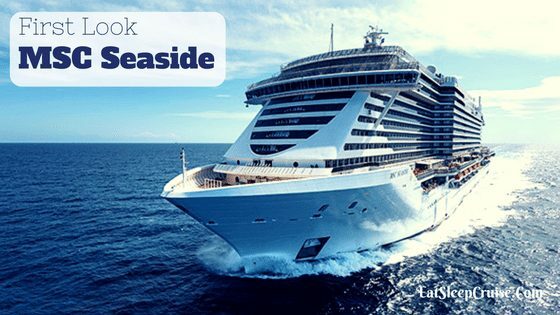 Are you considering a voyage on MSC Seaside? Drop us an anchor below to share your thoughts on this brand new ship.